Founded in 2008, Monetate is an American company that has roots in Pennsylvania. Monetate offers high end solutions for ecommerce based companies. Here are the feed specifications to get started working Monetate. Please note, by default, Monetate configures product feed ingestion for the XML format. Prior to uploading a feed in another format, please contact Monetate Support. 1. A header for each field is required. 2. 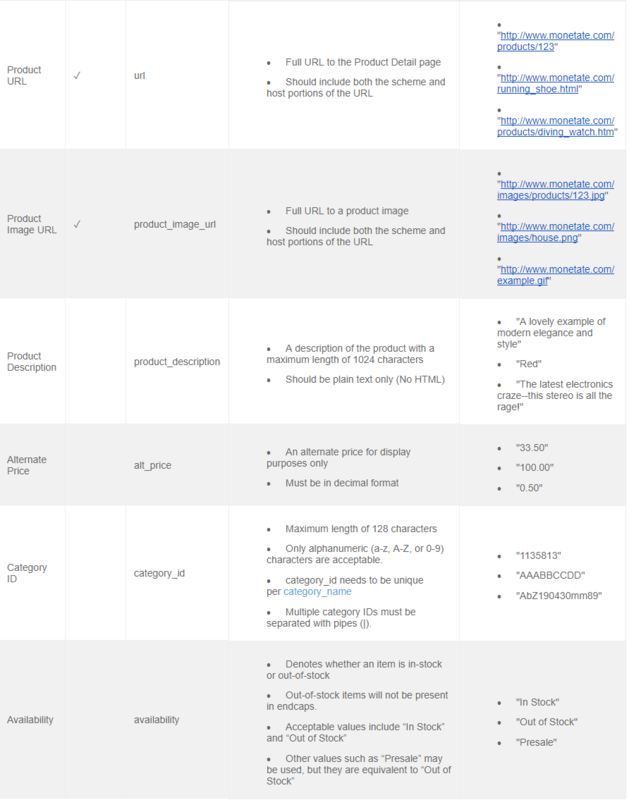 Each product entry contains the minimum required fields and a maximum of 14 total fields. 3. Every entry utilizes double quotes (“) around each field to allow for accurate parsing of data. This is especially important for fields with line breaks, quotation marks, or commas. 4. A double quote character (“) included in a field must be represented by two double quote characters. 5. Character encoding must be UTF-8. Monetate natively supports UTF-8 characters up to the “Specials” code block. To encode characters beyond this this type, you should use HTML encoding. 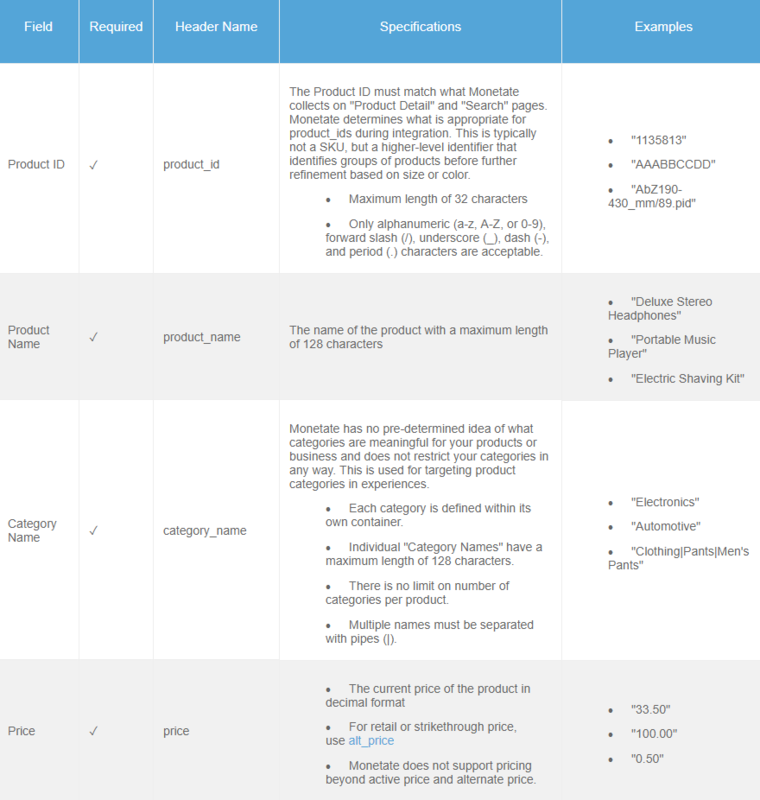 Please note, any information that you include in your product feed must match the values that you collect on-site through the addCartRows(), addPurchaseRows(), addProducts(), and addProductDetails() methods.